Hall for hire for a range of activities and functions you may have. 1 kitchen with facilities such as large fridge freezer, kettle, toaster, microwave etc. Very close to Stratford and very close to public transport links. There have been 0 reviews of Venue for hire / Hall for hire / Wedding Venue /Party Venue / Event Space / Birthday. 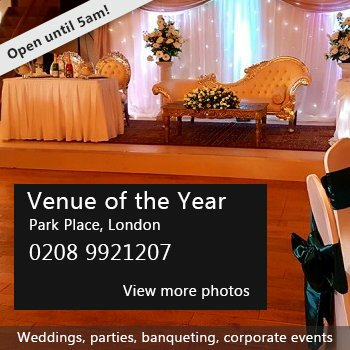 If you would like to send Venue for hire / Hall for hire / Wedding Venue /Party Venue / Event Space / Birthday a booking enquiry, please fill in the form below and click 'send'. Perhaps some of the following halls within 5 miles of Venue for hire / Hall for hire / Wedding Venue /Party Venue / Event Space / Birthday would also be of interest?